To contemporaries the nineteenth century was 'the age of great cities'. As early as 1851 over half the population of England and Wales could be classified as 'urban'. 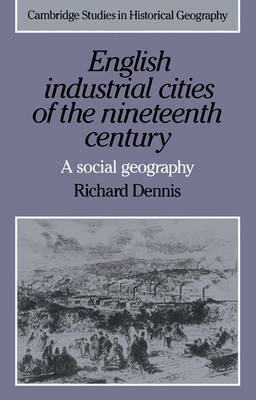 In the first full-length treatment of nineteenth-century urbanism from a geographical perspective, Richard Dennia focuses on the industrial towns and cities of Lancashire, Yorkshire, the Midlands and South Wales, that epitomised the spirit of the new age. In recent years urban historians and geographers have produced a wide range of detailed studies, both of particular cities and of specific aspects of nineteenth-century urban society, including the housing system, local government, public transport, class structure, residential segregation and social and geographical mobility. Dr Dennis offers a critical review of this research, integrated with his own original study of mobility, social interaction and community in the West Yorkshire town of Huddersfield.